Although much progress has been made, the battle for gender equality in financial services goes on. Leading female lights of the sector join Rebekah Commane to discuss what more can be done. This year we celebrate 100 years since women put their lives on the line as part of the suffrage movement to ensure generations of females would have a say in their own future, with the right to vote. We’ve come a long way since 1918; a lot has changed, even in the financial services sector. But there is still a long way to go. In case you hadn’t heard, as of March this year there were still more men named ‘Dave’ (eight) than women of any name (six) heading up FTSE 100 companies. It’s not a dilemma with an easy out, though. Equality and diversity for all are proven to impact positively, not only on individuals, but on business outcomes. To discuss this, some of the industry’s best and brightest females were gathered at Mortgage Strategy’s offices to relay their experiences as women in finance: the good, the bad and the ugly. 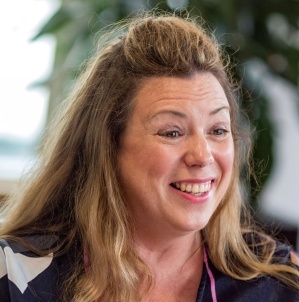 Mortgage Intelligence managing director Sally Laker, who started with the firm 22 years ago, has seen the number of women in the sector grow over the years and never felt that her gender held her back. “I went to a Council of Mortgage Lenders lunch in 1996 and there were about seven to 10 women in the room; it was about 95 per cent men,” says Laker. Coreco learning and development manager Hayley O’Reilly is newer to the industry and found it challenging to begin with. O’Reilly says she was one of just three female advisers on a team of 35, although all the admin staff were women. However, she learned a lot in her time there. “I’m glad that happened because I had to be ballsy and make the move into Coreco, and MAB has been really supportive in helping me step up. The issue of specific roles based on gender is one that many firms in the industry are attempting to tackle, particularly that of women in senior roles. Legal & General Home Finance head of broker sales Marie Catch says her employer is looking at ways to address this. “Since I came into the mortgage sector I’ve found the percentages of men versus women very skewed compared to other industries I’ve worked in. You can tell by the lack of a queue for the toilets!” she says. 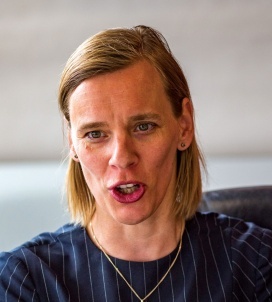 "We need to help females gain the confidence to escalate to senior positions"
As a female working at one of the UK’s biggest banks, Lloyds Banking Group director of strategic partnerships Esther Dijkstra says there are still perceived gender-specific roles in the industry. “From a bank perspective, you walk into a branch and all of the cashiers are still females and that’s where the perception starts,” she says. “We had a session once where we had young people come in and they basically told us ‘We’re bitterly disappointed in you guys’, because we were the generation of females that had the qualifications but statistically speaking not much had changed. Brightstar director of people development Clare Jupp says her company considers equality to be an issue for everyone, not just females. “We’re looking at more flexible working patterns for all, whatever their situation,” she says. Throughout the discussion, a theme that emerged was a perceived lack of confidence among some women, which may be holding them back from entering or progressing in the sector, as well as the need for support from both genders. 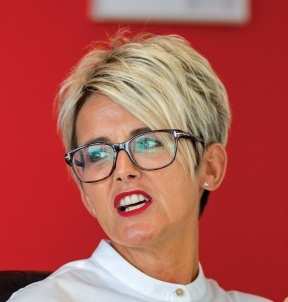 LSL financial services chief operating officer Toni Smith has risen through the ranks to her current role and seen huge changes, but acknowledges the distance still to go in gender diversity in the sector. “I started in Allied Dunbar in Swindon in 1987 so I’ve seen a lot of change. From my perspective, on the executive team at LSL we have four female directors and five males, so we’re well balanced. “I’ve just appointed three directors and they’re all female — because they were the right people for the job. It’s about finding the right people for the right jobs. In 2017, the #metoo movement took hold after Harvey Weinstein was accused of sexual abuse and harassment of numerous women. It saw women across the world come forward to say they too had been victims of such abuse by men. In the finance sector the subject is rarely discussed publicly, but more private conversations reveal that most females in the industry have experienced some level of inappropriate behaviour or sexual harassment at work. Nevertheless, things here are improving. With a group of senior women gathered together, it seemed a good time to discuss the subject. 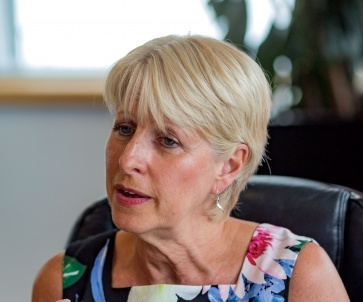 Atom Bank director of retail mortgages Maria Harris feels that the finance sector is particularly guilty of inappropriate behaviour, compared to others. “I’ve been in FS for 12 years. Previously I was at British Airways in contact centres and then moved into utilities, both of which are strongly diverse and well represented by women in senior roles. So it was a real culture shock coming into financial services,” says Harris. “I went to my first industry event when I’d been promoted at Bank of Scotland. I remember being horrified at the lack of women in the room and the number of very inappropriate comments I had from a large number of people. Catch says women in the sector feel they have to “grow a thick skin”. However, more men are speaking up now when they find others acting out of line, which she says is promising for the next generation. “I think as a woman you have to grow a thick skin but some of my male friends are protective and say I shouldn’t take some of the comments that are made. But the younger generation coming through will learn that it’s not right,” says Catch. Jupp suggests that management teams in firms could look out for such inappropriate behaviour and make the message clear that it is not acceptable. To attract more females to the industry and give them confidence to pursue senior roles, more support is needed from both genders. “I still go to events where I’m the only woman there,” says Harris. 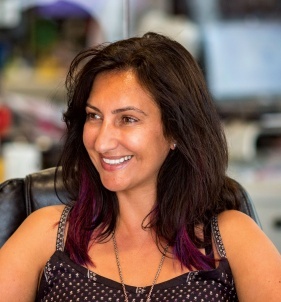 “I’ve spoken at a huge number of events since Atom launched 18 months ago and I’m often the only woman, so I think it’s still a huge problem. There aren’t enough business role models for the next generation coming through. The Women in Finance charter to date has secured 272 signatories who have committed to working to drive more women into senior roles in the industry. “There are women who do amazing jobs but don’t talk about it a great deal — but they should,” says Jupp. While there are undoubtedly challenges for women in the industry — as there are for men — the group is agreed that it is a great sector to work in and we are moving in the right direction on equality for all.